How Do I Start with Google AdSense? How Do I Start with Google AdSense? Home / Internet Marketing / PPC Marketing / How Do I Start with Google AdSense? Google AdSense is one of the ways to make money online in Nigeria. So many bloggers in Nigeria already know what it is and how to start with Google AdSense. Not only that, there are lots of Nigerians who make money from AdSense every month, actively and/or passively. 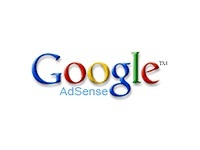 If you don’t have a Google AdSense account yet, this post is for you. I wrote this because of I got to answer this as part of the readers questions. READ: SWIFT Codes for all Major Banks in Nigeria. You will need this to add a SWIFT code to your AdSense account. Are you already a Google AdSense publisher? If yes, I’ll like you to add as comment how you started with Google AdSense. Also, if you have a question that you need an answer to, please ask by using the contact form on the contact page.